What is a field placeholder? 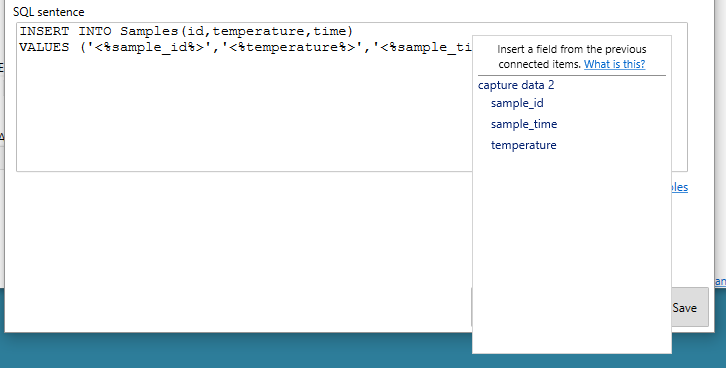 A field placeholder is a field name enclosed between <% and %>. 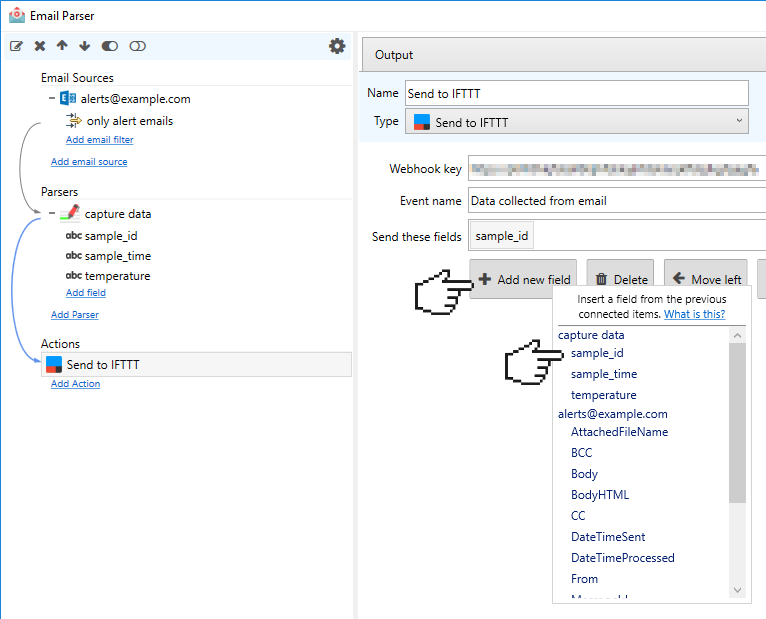 Email Parser will replace it with the actual captured text. 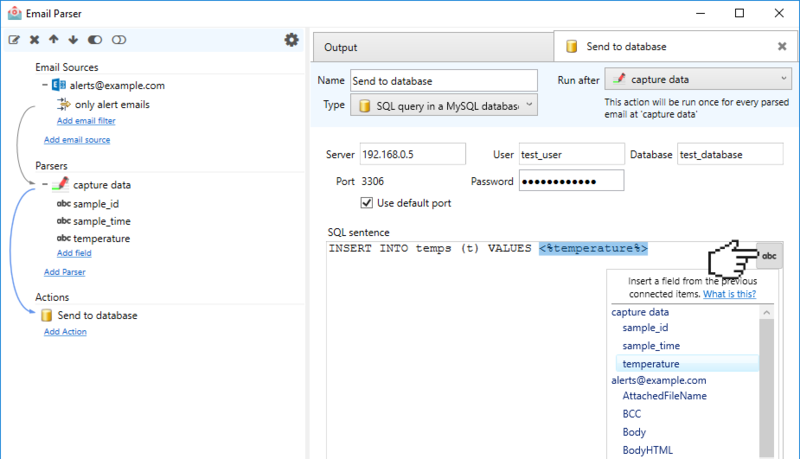 For example <%From%> will be replaced with the email address of the sender of the email being processed. How fields are made available to an Action? Some fields are missing. What is happening? Most likely that the action is not connected back to other items. 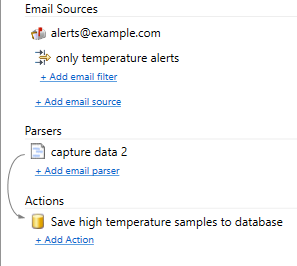 See the following example, the fields that the email source “alerts@example.com” provide are not available in the SQL action “save high temperature samples to database” because “capture data 2” is not connected back to the email source.